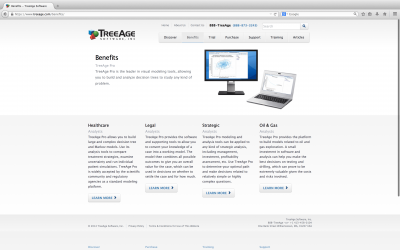 TreeAge Software was in need of a site overhaul and redesign for their website. 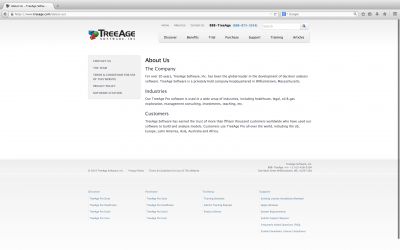 Their old website was severely outdated and experiencing problems with users utilizing the e-commerce portion of the website, decreasing sales of their products. Simplexity Marketing Group redesigned and re-architected the website targeting information toward the specific types of industries and groups who utilize the software that they develop. 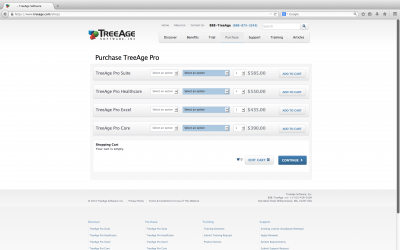 Because the product being purchased is software and users needed to receive confirmation of purchase and software activation keys immediately after purchase, we built a system to tie into the key generator that TreeAge utilizes for software serial numbers to retrieve those items upon completion of a product purchase. 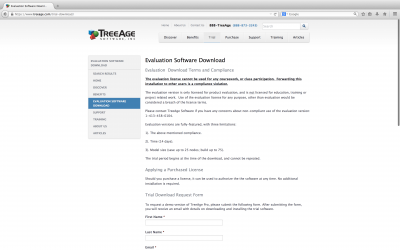 Likewise, for customers interested in utilizing a trial version of the software, we created an easy process for users to sign up for a trial download which tied into the key generation system to allow trial use of the software for 14 days after the user downloaded the software. 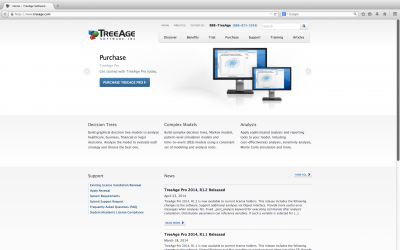 Due to the complexity of what their software is designed to model (decision trees, complex models and analysis of large amounts of data) we needed to create a site that would answer the many questions a researcher or decision maker may have prior to purchasing the software. 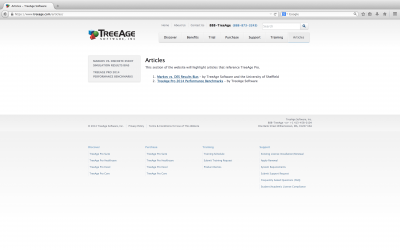 Users of the website also needed to be able to easily determine which software product they should purchase. 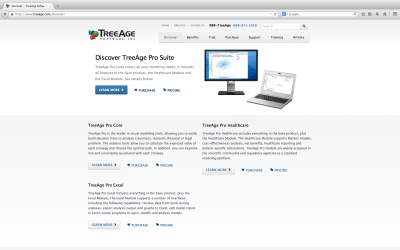 We created a product comparison tool that allows users to quickly determine the best version to purchase as well as allows TreeAge to keep the comparison tool up to date as they add new features to the software. 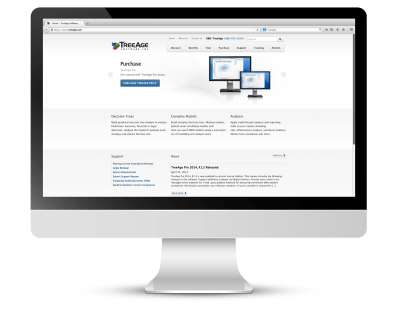 The support staff of the software also needed a method to give examples of how to utilize the software as well as allowing customers to sign up for training seminars and online training courses offered by the company. 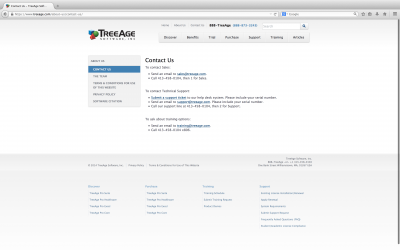 Simplexity created an easy process for TreeAge staff to keep the site current with their support and training offerings.